Seven months out, and the brouhaha surrounding the Seth Rogen/James Franco vehicle The Interview has all but receded from public memory. The massive Sony hacking scandal spurred by the film’s satirical take on Kim Jong-un and the North Korean military dictatorship spread anxiety over depictions of the reclusive and secretive state throughout Hollywood. The Interview eventually broke through the restrictions facing it and ran in theaters and on Netflix, but New Regency pulled the plug on Pyongyang, a North Korea-set thriller from Gore Verbinski starring Steve Carell, in the heat of the controversy. Films about North Korea have been sparse in the months since, but a new report from THR today indicates that a new foreign import will pick up Hollywood’s slack. A 3-D South Korean action film called Northern Limit Line will soon complete the journey to domestic theaters from Asia. 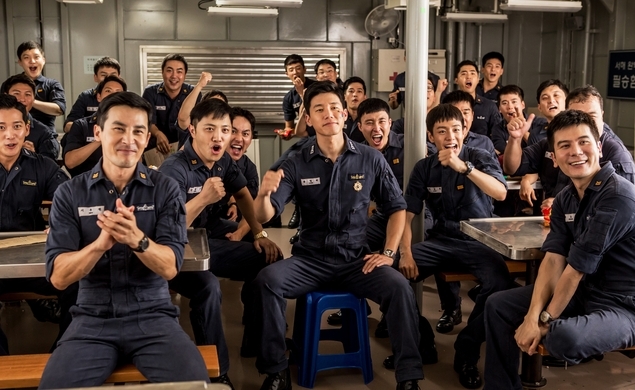 The film, the title of which refers to the hotly contested invisible boundary between North and South Korea’s maritime territories in the Yellow Sea, retells the true story of a 2002 naval battle between the two countries. As South Korean citizens were captivated by the finale of the World Cup (South Korea was grappling with Turkey for a prized third-place spot), a pair of North Korean patrol boats quietly approached Yeonpyeong Island near the Northern Limit Line. They had come to stage an ambush on South Korean Battleship 357, in the hopes that they could catch soccer fans with their pants down. The virulently anti-North populace of South Korea flocked in droves to see the film, busting national box-office records in the process. It’d be foolhardy to expect the film to meet with as much success when it goes through a limited run in 13 American cities on July 17 (including New York, Washington D.C., Atlanta, Dallas, and Los Angeles, among others), but even so, it’s a hot-button issue. The subject material has aged 13 years, but the international tensions are fresh as ever.